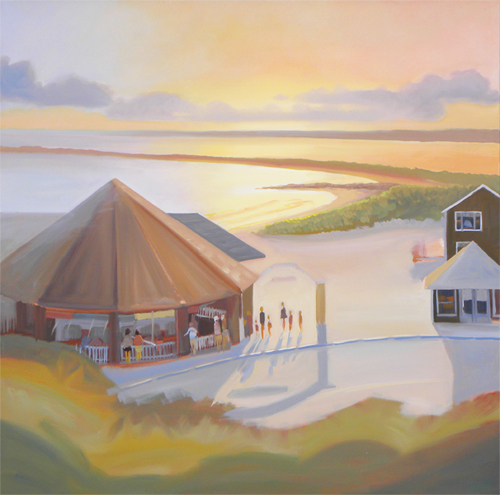 My large sunset oil painting of the Historic Carousel and Napatree Point in Watch Hill, Rhode Island is coming along. I have continued refining the center of the painting, the area between the buildings on the right and the carousel. This is where the road curves past the carousel with the people in line and the arch overhead. Napatree Point has an old fort at the end of the beach that you can walk out and see. In my painting Napatree Point is the peninsula going from the right side to the left just above the center of the canvas. The photo here is the old fort.